As a lady with curves you may find it difficult to find your dream dress that is complimentary to your shape, style, and budget. 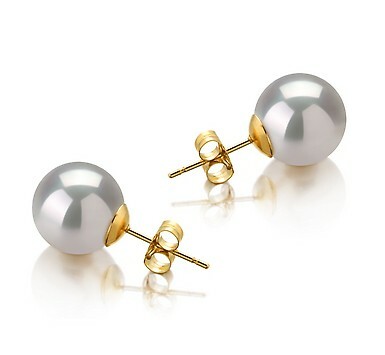 We, at Pearls Only, may be able to help you find everything in one! This dress “Antoinette Sample Wedding Gown” by Michelle Bridal is on Sample Sale for the amazing price of $495.00. Looking for a little vintage wedding dress inspiration? We thought so! We hope we delivered with this beautiful couture vintage dress by designer, Max Chaoul. This simply vintage dress is the “Sophia” which is a strapless column gown with a bodice of alternating strips of satin and sequin embroidered mesh. We think this dress would look amazing with layers of pearls just like the image above for a glamorous look. For details about this dress and others, check out Max Chaoul. Modesty and class is most important on your wedding day and we at Pearls Only feel that you can easily stay in this mold with our gorgeous collection of white pearl earrings. The earrings come in all shapes, sizes, styles, qualities, finishes, and prices making it easy for any bride to get the look that best fits her style and her budget, which is VERY important. Our earrings are not just from one day, but they are a keepsake and an item that makes memories that will last a lifetime and beyond! PEARL FASHION: Efrat Davidsohn creates shoulder necklaces for wedding fabulousness! For all of the ladies that are getting married in the Spring, we have found really amazing and unique pieces of jewelry that will go perfectly with your strapless dress. Jewelry designer, Efrat Davidsohn has created amazing pieces that are fit for that special occasion that a woman says, “I do.” The third edition for the trilogy of “necklace for the shoulders” is three one-of-a-kind pieces that can be made to order. The creative photographer, Elizabeth Messina, captured amazing photos of a beautiful bride, Erin. The images were amazing and they instantly caught our attention! Why do you ask? The pearls of course! The photos featured the bride who happens to be a hair and makeup artist by trade, and she is completely adorned in long statement pearl necklaces. She looks absolutely gorgeous and Elizabeth captured every moment perfectly. 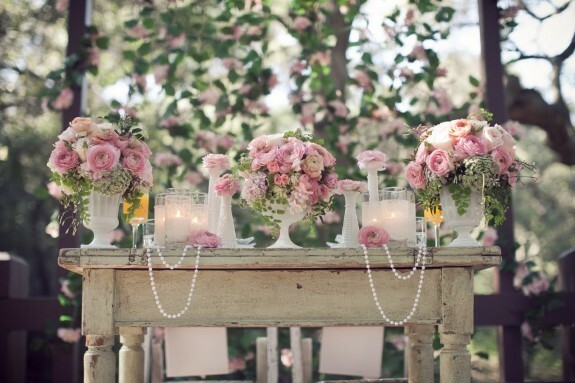 ASK MS. ELITOU: How can I bring pearls into my wedding theme? Pearls are amazing stones that are very versatile and bring the perfect touch of sophistication which makes it a splendid addition to your wedding theme. A question you need to ask yourself is, “Do pearls fit my theme?” This important question must be answered in order to determine if pearls would be too much, out of place, or the perfect décor to your special occasion. PEARL FASHION: Amazing $50,000 Wedding Dress with Pearls by J’Aton! Marriage season is vastly approaching and soon wedding bells will be heard country-wide! How exciting! It is every young girl’s dream to have a picture perfect wedding, with her prince charming, an amazing venue, and most importantly a fairytale wedding dress. As you plan for your wedding, you will need something that will hold your necessities; nothing too big, but something that can carry your gifts of cash, gift cards, hotel key, unmentionables and makeup. 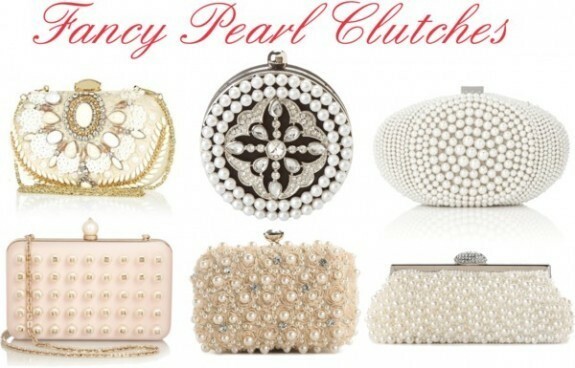 Think about purchasing a clutch handbag that will complement your beautiful dress. 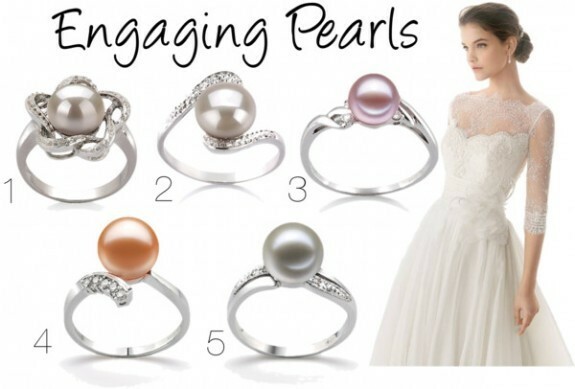 PEARL FASHION: Pearl Engagement Rings! There is nothing more beautiful than a gift that comes from the heart; a gift that is honest, genuine, and has a delightful uniqueness. That is what you are looking for when you get an engagement ring… all the right qualities. An engagement ring symbolizes a “promise to marry” and it is just as important as the actual wedding ring. The engagement ring is to be worn by the woman until the day of marriage therefore it has to be special. It has to fit her personality and her finger.